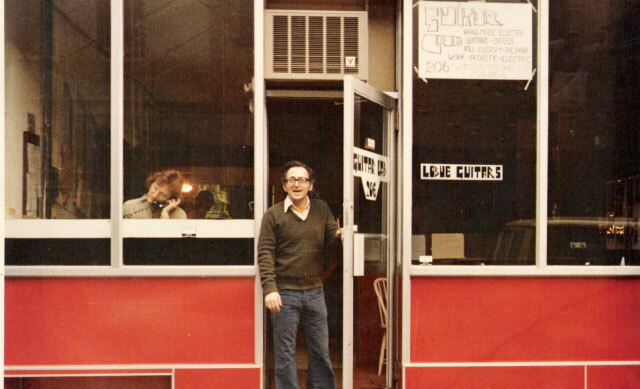 I just had the opportunity to review the most recent release, Kitchen Table Blues Vol. 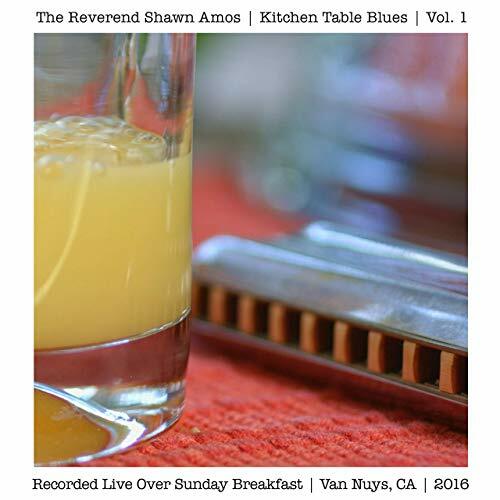 1, from The Reverend Shawn Amos and it's a cool relaxing treat. Opening with the Faces hit, Ooh La La, Amos shows his genuine enjoyment of this classic 60's track with acoustic guitar, accordion, harmonica and banjo backing. Very nice. Amos gives Devo's, Whip It, a stripped down funky rework making it even cooler than the original. With vocal, harp, light snare drum and a bari sax, this track has texture. On The Sonics, Have Love Will Travel, Amos takes a garage tune and makes it bluesy with his vocal styling, crisp acoustic guitar riffs and soulful harp work. Wrapping the release is Tom Waits' song, Jesus Gonna Be Here, with only terrific vocal, tight snare drum rhythm and acoustic bass leading up to a smooth bluesy electric solo and an adventurous harp solo. Amos really works this track not only making it the best track on the release but also a super closer. 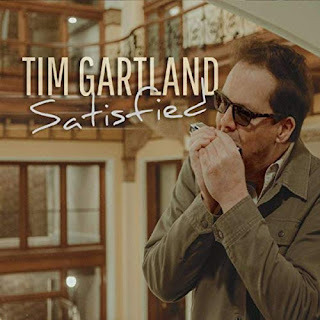 I just had the opportunity to review the most recent release, Satisfied, from Tim Gartland, and its well balanced and cool. 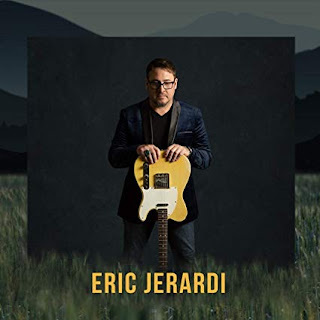 Opening with blues rocker, Drinking For Two, Tim Gartland's vocals are casual but authentic and the spanking drum work of Jack Bruno really hits the spot. 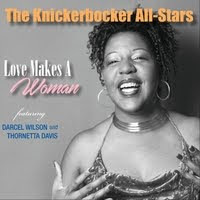 Wendy Moten's backing vocals give the track a nice additional dimension and solid piano work by Kevin Mc Kendree, slide work by Tom Britt, Steve Mackey on bass and Gartland's own harp work make this a real nice opener. There is something about the vocal delivery on Don't Make More Trouble that almost makes you think it's asking for trouble with it's cool arrogance. I mean I really like it and lead guitar soloing by Robert Frahm it strong. One of my favorite tracks on the release is honky tonker, Can't Paint A Prettier Picture, with a great rolling rhythm, firm piano by Tom West. Excellent! The vocal interplay between Gartland and Ray Disilvis, the guitar discord by Frahm, the drum spank by Bruno and Gartland make this another contender for top track. Reggae flavored Why Does The Room Begin to Sway? has great darkness and depth. Gartland's unadorned vocals, surrounded by the lush backing vocals of Moten and Frahm's guitar accents really set this track apart. Wrapping the release is easy swinging shuffle, Don't Judge Me. 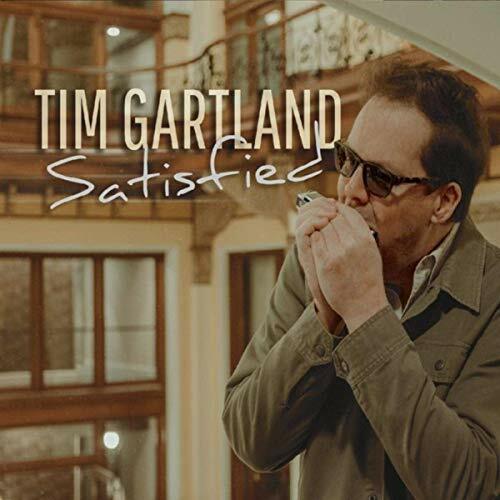 Gartland is a master of cool with his laid back vocal delivery. McKendree's organ work lathers it up, Gartland's harp work adds the mustard and slick guitar riffs from Frahm knocks it down. This is a cool, unpretentious release with a lot of swagger.